We are not slots players, we play horse racing because we can think. Keeneland continues to outperform in terms of customer service and common sense. 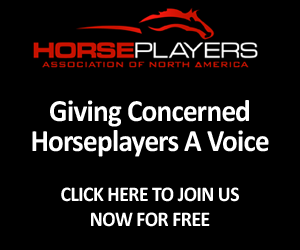 We noted below that they, after reviewing fans through a survey regarding polytrack, contacted Jeremy Plonk and created a polycapping database, which can be accessed right on their site. We are not slots players. We like this new feature and want more and more information from our tracks. Preferably for free, so we can give them a whole pile of money. Jeremy Plonk on Paceadvantage.com is promoting this service to everyone he can. 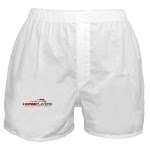 I'd like to invite all horseplayers to utilize the Polycapping tools at Keeneland.com this season, which opens Friday. The database provides information on every winner since the 2006 fall meeting, which is when the Polytrack was installed. Keeneland employed me to devise the information contained, so that it would be done from a handicapper's perspective. With raw data and your own creativity of filters and searches, you can unveil trends and stats that go beyond the conventional past performances. Best of all, the database has an easy, free download feature, so you can take the raw data and input it into your own spreadsheet files and manipulate it as you normally would information in Excel, etc. Polycapping is not a spoon-feeder tool trying lure newbies to the game. It's devised by a degenerate (me!) 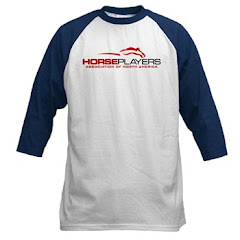 for everyday and regular horseplayers who are looking to get an edge, and more importantly, grow their confidence of betting on all-weather surface races. The Polycapping database also includes turf races. Key elements in the database that you won't get anywhere else include air temperature, rainfall totals and whether or not the gallop master was used before each and every race. Here, you can get ahead of the curve of even track maintenance officials and try to glean trends that affect the racing surface before anyone else does. 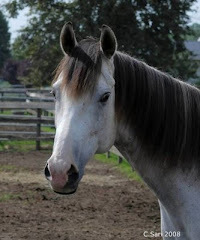 Many other traditional handicapping methods can be filtered and analyzed, such as the importance of a local workout, past experience on turf or Polytrack, turf-to-Poly or dirt-to-Poly movers, turn-backs and stretch-outs in distance, what circuits produce the most winners, fractional and final times in hundredths so you can devise pars for each distance and class, etc. This is one of the most handicapper-focused acts of customer service that I can recall, and wonderful to see a company "get it" when it comes to horseplayers like us. The data is updated daily throughout the meeting, courtesy of Equibase, so each day you're getting up-to-the-race trends. Good luck at the 17-day all-star game that is Keeneland. Also, another place, and another way that Keeneland realizes we are not slots players, we think and like it, is with allowing Premier Turf Club its signal. 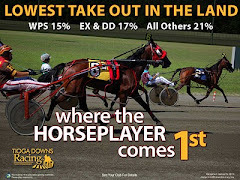 Premier Turf Club is an ADW that gives cash rewards, trying to stop people from playing offshore. 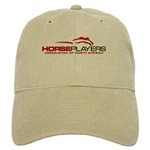 In addition it is run by players, very cognizant to the needs of the thinking horseplayer. PTC offers daily a free handicappers clocker report for Keeneland. They apparently hope to have live paddock inspection reports added as well. We are not slots players. Some out there know it. Last up, Keeneland seemed to be very worried about speed on their poly. Players complained, and they seemed to be very receptive to our complaints. Well boys and girls, what happened? Late in the last meet, and during this one so far, speed is not really an issue. The track seems more than fair for us. That is all we can ask for isn't it? The inside plays like the outside, in both sprints and routes. Checking my handy Jcapper software, I can see speed horses are holding their own. 'E' and 'EP' horses are ROI positive in sprints, in fact. I would bet dollars to donuts that they have worked that track due to customer issues and made it a priority for this meet. We are not slots players. We don't need to win a lottery type bet to make us feel good; watching a ball spin around a wheel and guessing right does nothing for us. Unlocking a pace scenario and hitting an $11 winner, or finding a little known trainer angle to nab us a $22 exacta is what we want. Keeneland, Premier Turf Club, Jeremy Plonk and everyone associated with this meet so far understands that, and players like me want to say one thing: Thank you. Lower prices through rebates, helping those of us who want to work at our craft win, and constantly asking us what we like and do not like, is an elixir that every track should serve. I will be playing Keeneland this meet, and for many more meets. With customer service and respect for the bettor like they show, I think we all should. At first it was enjoying the beautiful day and the ambiance of the track that got me. Then I tried to handicap a race. Yikes, there is so much information to assimilate and it all takes time, without going into detail of what you need to know about horse racing to make a decent guestimation just to realize you need to learn more to boot. That is the fun of it and also therein lies the problem perhaps: fast food, fast buzz, fast women, fast cars, instant soup, convenient stores, you get it. Does society in the 21's century have the patience/focus/brains for horse racing? A co-worker of mine even said "it is too long between races"...? I said thats when you talk to people or read the form, relax, get a drink, go to the paddock, I do not know, what the hell is that? I am thinking the modern world has no place for old fashionism, but racing will come back in full force in time and the industry should be ready. With HANA and other organizations I know it will be and I want to be a part of it. I didn't know Keeneland was so fan friendly until I joined HANA. I love reading Plonk's articles so that made this article that much more enjoyable. As for the short attention spans of today's youth, you're right, it's an issue. But, allow me to share a real life experience with you. Last month, I happened to be at my cousin's house. He and his family have no clue when it comes to horse racing. But, when I changed the channel to TVG, my nieces and nephews, ranging in age from 8 to 15 sat down to watch a race with me. I told them to pick a horse and each of them did. When the horses reached the top of the stretch they were ALL screaming for their horse to win! I was stoked beyond words. There is hope for the future of racing.